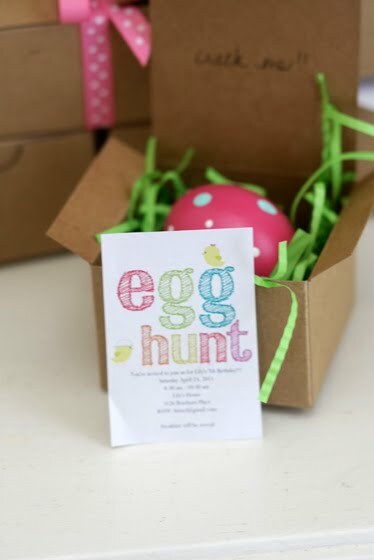 Tangled and True: egg hunt invites. 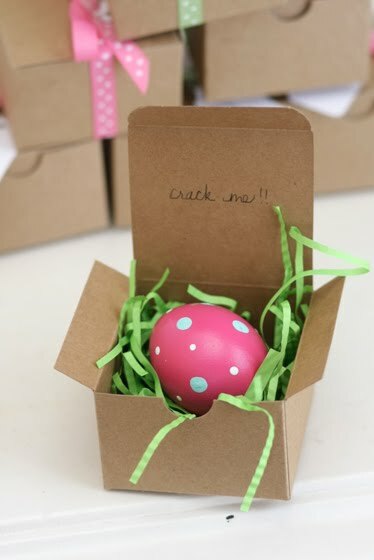 I saw these spotted eggs on Poppytalk and thought they would be the perfect invite for Lily's egg hunt birthday party. I am super happy with how well they turned out. I spray painted mine and let them dry, then dotted with acrylic paint. This was the invite rolled up inside the egg. and the box all packaged and ready to be delivered. Stay tuned for more fun party details! Wow, britt they turned out so awesome. I really love them and the egg hunt font. Good job! These are adorable! How fun it would be to recieve one of these. So cute! You've been busy while I wasn't looking.